Now that all the excitement and anticipation of the 2015 En Primeur campaign has diminished, merchants, collectors and even consumers have had the chance to more clearly reflect on what is truly a vintage of mixed reviews. While many hoped that this would be the year to correct previous market detriments—particularly in the form of unreasonable price points—the rollout of 2015 offerings did little to genuinely change the market landscape. But all was not lost. Optimism hung on the fact that 2015 was, at the end of the day, considered more than merely competitive. For what offerings lacked in uniformity, they made up for in purity, freshness and finesse. The general consensus was that although the 2015s could not match the magic and exuberance of outstanding vintages such as 2005, 2009 and 2010, they often came close, and definitely surpassed the somewhat lackluster wines of 2006, 2008, 2012 and 2014. Sales numbers backed these reviews, with figures exceeding previous years—most notably 2014 and 2013—despite the fact that 2015’s en primeur overall quality fell short of expectations and prices remained high. Even with this burst of welcomed exchange, sales are still much lower than what has historically been the norm. The current maladies of the en primeur market can, to a great extent, be traced to the pricing strategy of the Bordelais. The chateaux, located in what is undeniably the world’s most influential and revered winemaking region, remain reluctant to price their wines according to what the market has recently dictated. As such, they have created an impasse with merchants and consumers, even in formerly robust Asian markets, which further weakened this already compromised environment. Bordelais hesitancy to lower their inflated price points may also continue to encourage savvy consumers to opt for older vintages whose prices have dropped and scores have risen. Such scenarios are becoming more and more attractive, and ultimately seen as better investments in the long run. While we can’t change the minds of the Bordelais overnight, we can talk about the wines, many of which were exceptional and unexpected. A great number of 2015s received phenomenal press among critics, but three made a particular impression. Taking the crown as the “wine of the vintage,” the 2015 Château Margaux is possibly one of the most impressive appellations. Having the distinction of being the only Margaux other than the 1990, to acquire a potential 100 point score (this from Robert Parker’s heir apparent, Neal Martin), 2015 also marks the last vintage produced under the château’s highly-respected first growth Managing Director, Paul Pontallier, who sadly passed in early 2016. Called “more than perfection” by critic James Suckling and enjoying considerable market interest, all indicators point to a top-tier performance by this vintage. Margaux 2015 faced its fiercest competition from Château Haut Brion. Neck-in-neck with Margaux as the “wine of the vintage,” and hailing from the château awarded the most 100 point Parker scores than any other, Haut Brion 2015 didn’t disappoint. Poised for a potential 100 point score as well, this vintage is considered powerful and complex, with an appeal that piques the interest of serious oenophiles. Finally, it would be remiss not to mention the 2015 Château Cheval Blanc. With a light yet rich vibrancy and its perfect blend of Merlot and Cabernet Franc, Cheval Blanc has maintained an almost mythical reputation over the years. Continuing to enchant and fascinate audiences worldwide, critic Neal Martin claimed that 2015 “flirts with perfection.” According to the château’s Director Pierre Lurton, the 2015 vintage was the lucky recipient of a near-perfect harvest, thus ushering in the decision not to produce its usual second wine, Le Petit Cheval. 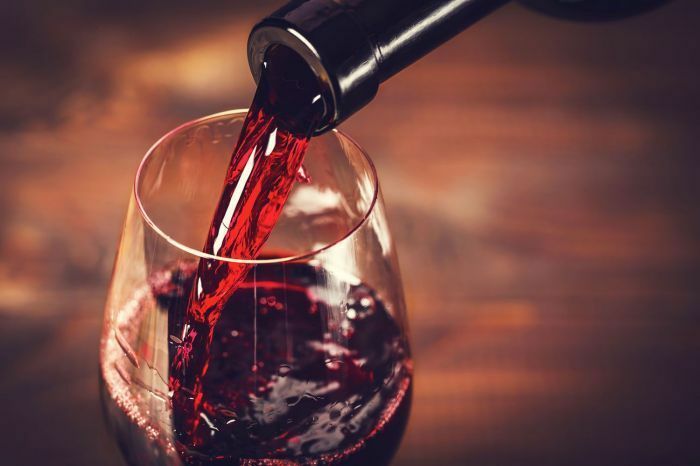 Priced higher than many of its competitors, this wine’s popularity may nonetheless make one of the least available in the shortest amount of time. The En Primeur season always sparks excitement and intrigue, and the 2015 campaign lived up to the vitality of its predecessors. Yes, its offerings were uneven, but the good ones were close to stellar, competing with recent historic vintages including 2009 and 2010. Mother Nature, in tandem with the skills of seasoned, talented winemakers, has gifted the wine world with some of the best of the vine in years.